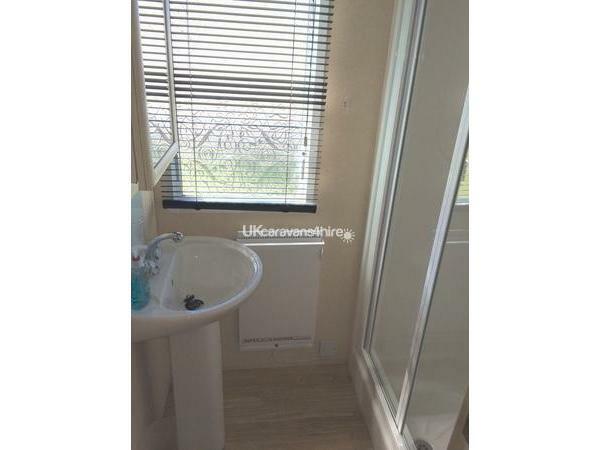 Non-refundable deposit of £75.00 to be paid at time of booking. Balance to be paid in full 6 weeks prior to holiday. 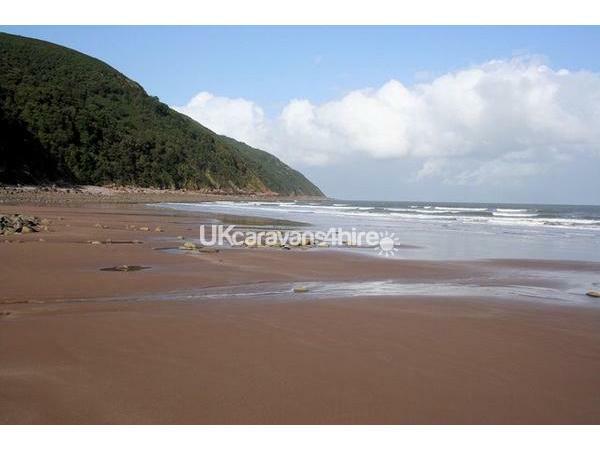 The caravan is sited at Haven Doniford Bay Park, a family friendly park set next to a rock pool beach, on the edge of Exmoor and the Quantock Hills. The historic harbour towns of both Watchet and Minehead are close by as is Dunster with its famous castle. The West Somerset Railway heritage Line with its' steam engine trains can be found just outside the park and is an experience not to be missed. 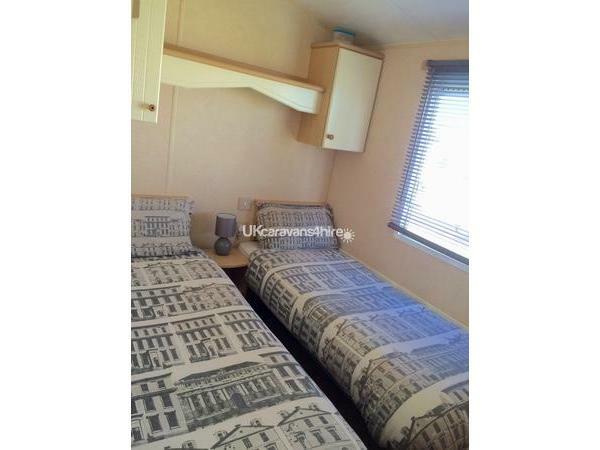 The caravan is in excellent condition throughout. 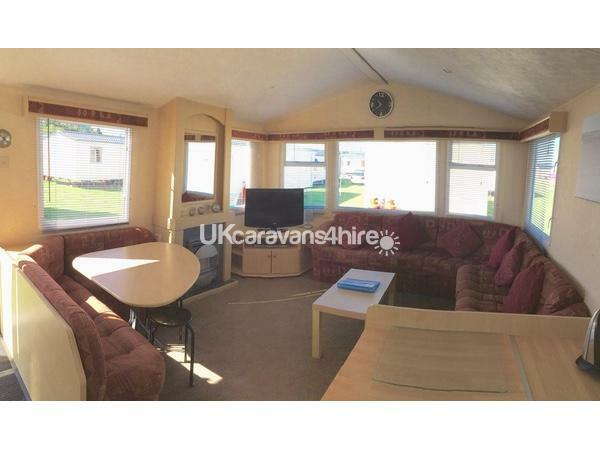 In the lounge there is comfortable seating for all the family, a dining table, TV and DVD player. There is a gas fire, storage cupboards, coffee table and is carpeted. 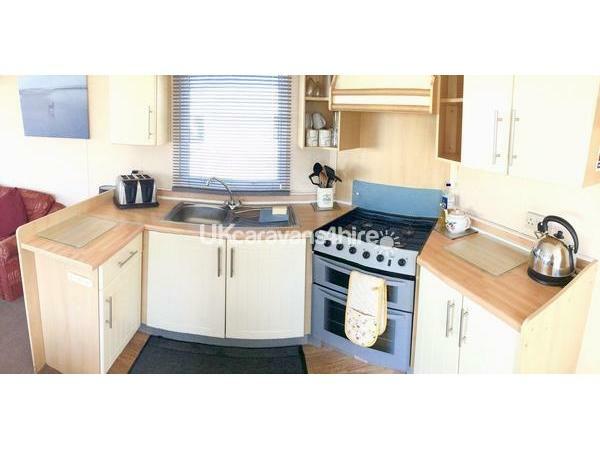 The kitchen is well equipped with a gas cooker and microwave oven, toaster, fridge with freezer compartment and plenty of work top space, cupboards and drawers. 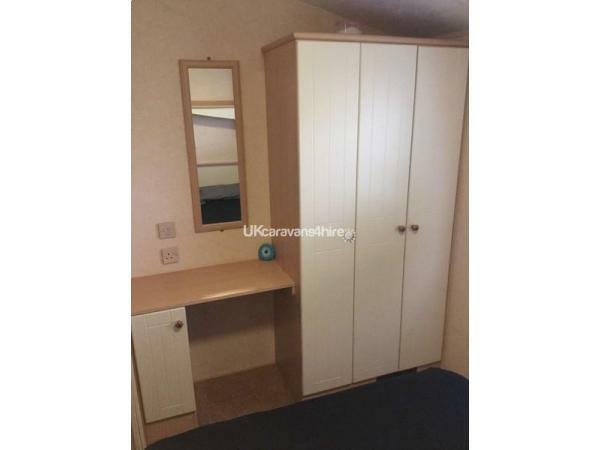 The master bedroom has a comfortable double bed, plenty of wardrobe and drawer space. 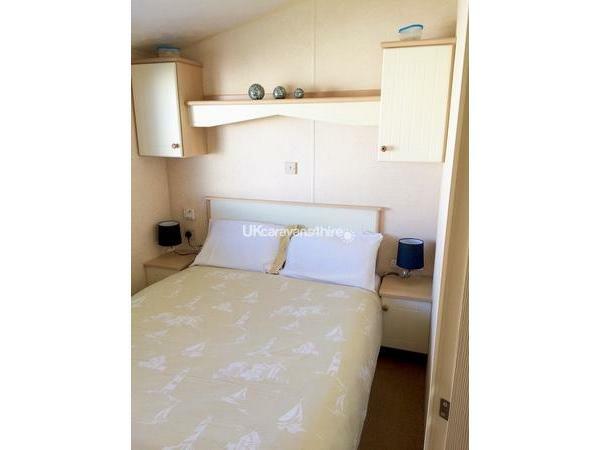 The 2 twin bedrooms have overhead storage and wardrobes. 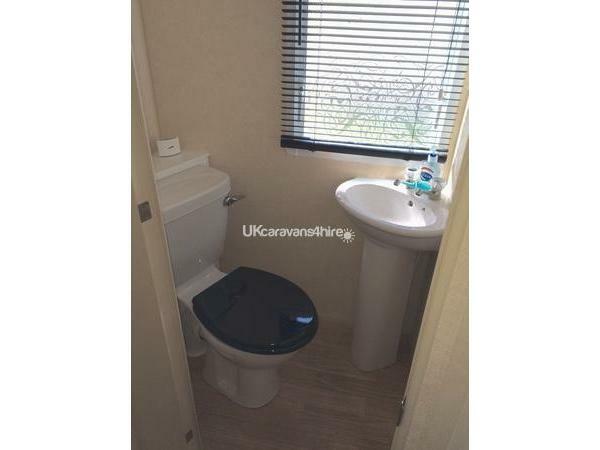 There is a separate toilet and shower room both with hand basins. 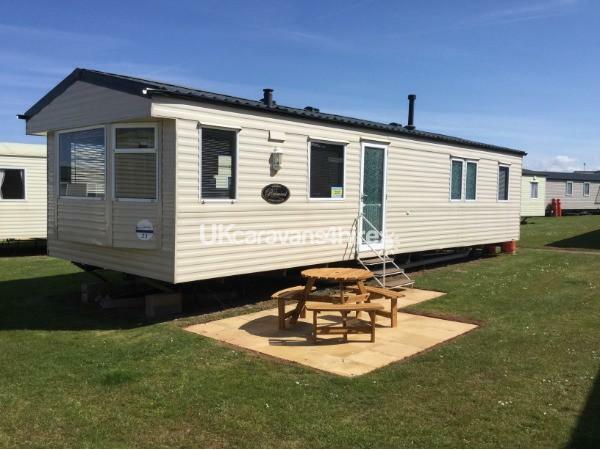 We have recently had a patio area built outside the caravan which has a picnic table for all our guests to use. A perfect end to a perfect day at Doniford Bay watching the sun go down. 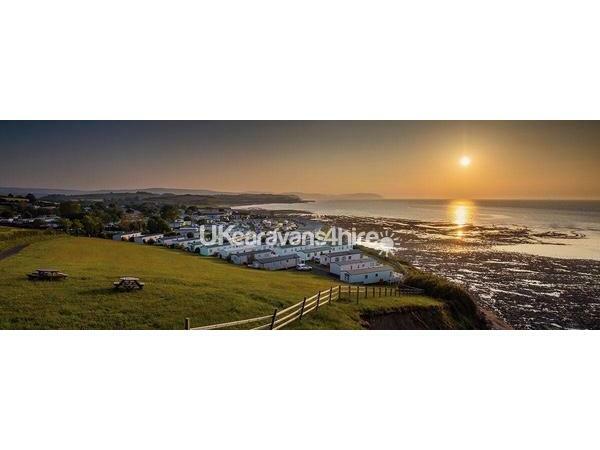 A non-refundable deposit of £75 is required at the time of booking, and the remaining balance is to be paid 6 weeks before the beginning of your stay. Well behaved dogs are welcome at no extra cost all we ask is that you clean up after your dog and not to leave in the caravan unattended. Booking in time 1pm. Check out time 10am. A full inventory is taken at the end of each stay and any items removed from the van will be invoiced to you for payment. Please bring your own bed linen (Duvet covers, bottom sheets and pillowcases) as these are not supplied. You will also need to bring your own towels and tea towels etc. We offer a linen service through our cleaning company, for a small extra charge all bed linen is provided and beds made up for your arrival. 7 night break peak season (25 March-7 April) (27 May- 2 June) (22 July-1 September) £26.00 per adult and £13.00 per child aged 4-16. Please note there is a strict NO SMOKING policy in the caravan. 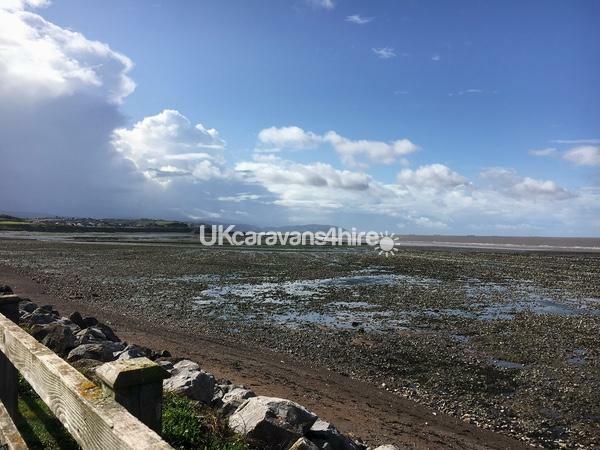 Please visit our website abdoniford.weebly.com for up to date pictures of the caravan and surrounding areas, also our terms and conditions. 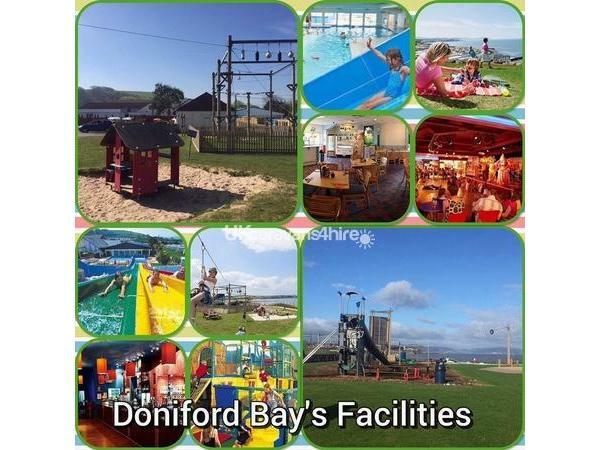 We also have a Facebook page AB Doniford Caravan Rental. Please feel free to like this page and receive all up to,date information and any special offers or late deals that we are offering. Additional Info: Zip Wire. Outdoor Pool and slides.